It is our pleasure to announce the foundation of the MPS PostdocNet, which fills the gap between PhDNet and LeadNet and supports and represents the needs of our junior researchers. The founder meeting will be at the Harnack-Haus in Berlin on April 29th & 30th, 2019. Please find attached the invitation letter and the preliminary program for the event. We strongly encourage our postdocs to connect within our Institute and form a local PostdocNet. For this purpose, we have also created a new mailing list for postdocs, where all kinds of information for our postdocs will be distributed. If you are interested, please subscribe to the list here: https://lists.mpi-klsb.mpg.de/listinfo/postdocs. 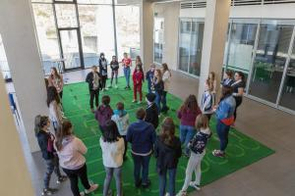 Holiday offer for elementary school kids at Saarland University. 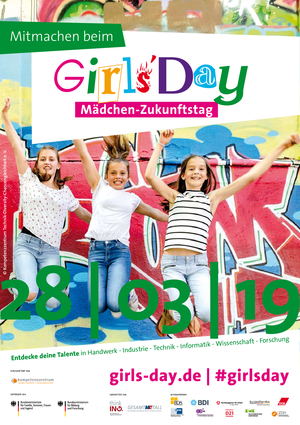 In 2019, children of Saarland University's students and employees can once again take part in our holiday program FUNKT. Friends and kids from affiliated institutes or the Science Park are also very welcome. 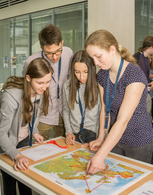 FUNKT is a nature-oriented program offered in cooperation with NABU Saar on the campus Saarbrücken. Daily between 8:30 and 16:30, the kids play together in the forrest by the campus, learn about plants and creatures there, do some crafting and carving etc. It is a lot of fun! The prize is 110€ per week and child (except "Ostern" 2019: 100 €). The fee includes lunch and childcare between 8:00 and 8:30 as well as 16:30 and 17:00. The Max Planck Institute for Informatics (http://www.mpi-inf.mpg.de) and The Max Planck Institute for Software Systems (www.mpi-sws.org) conduct basic research in many areas of computer science. But what exactly is computer science? Do you always need a computer for it? And what is a day in the life of a computer scientist like? This is exactly what we demonstrated to the girls with examples that they could touch and try out. 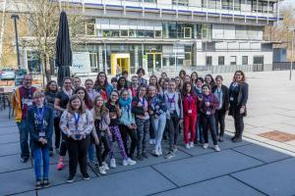 At Girl's Day 2019 we showed 28 participants some of these aspects and prepared a program with hardware, software and even computer science without computers. 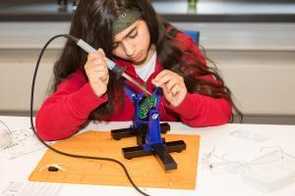 They were enabled to solder a small embedded system themselves, program a smartphone app and see what questions computer scientists are dealing with. Participants got the chance to talk to our students, doctoral candidates, and scientists about what it is like to work in research. 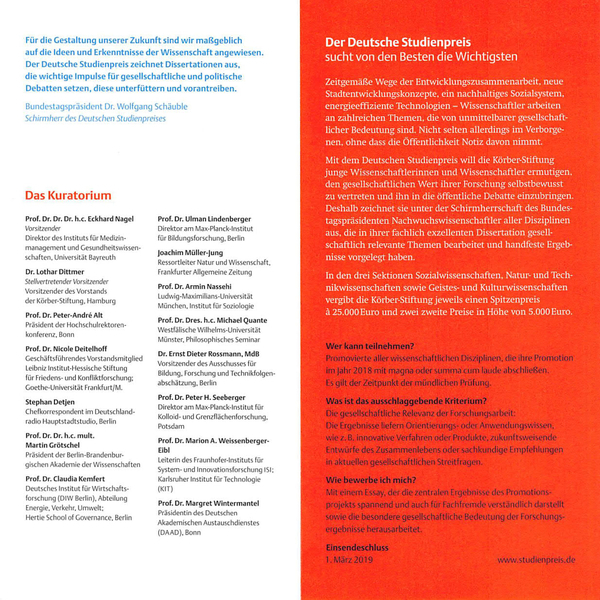 More information: Gleichstellungsbüro der UdS. 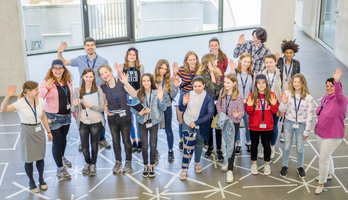 CyberMentor is Germany's largest online mentoring program for the promotion of girls in MINT (mathematics, informatics, natural sciences and technology) and is organized by the universities of Regensburg and Erlangen-Nuremberg. 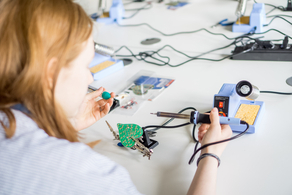 Through your involvement as a mentor you can be a role model for the female students and encourage them to put their plans into action, for example, in the form of MINT activities or by choosing a MINT course of study. Our research shows: more than 70% of the interviewees who took part in CyberMentor later decide to study a MINT subject! 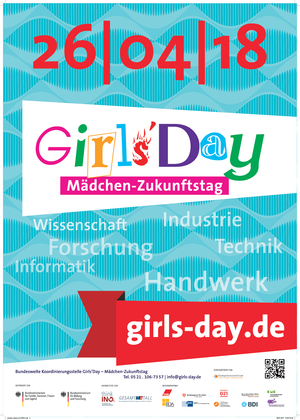 For one year you mentor a 5th to13th grade female student online. This student shares her MINT interests. On the password-protected platform, you can communicate via chat, email and forum. In this way, you can share with the student your knowledge and ideas about the MINT areas, for example, information about education and work or about MINT topics. You can manage your time flexibly -- starting from 30 minutes per week. In addition, we offer comprehensive mentoring materials, such as online tutorials or MINT topics in the form of project proposals. How do you benefit as a mentor? 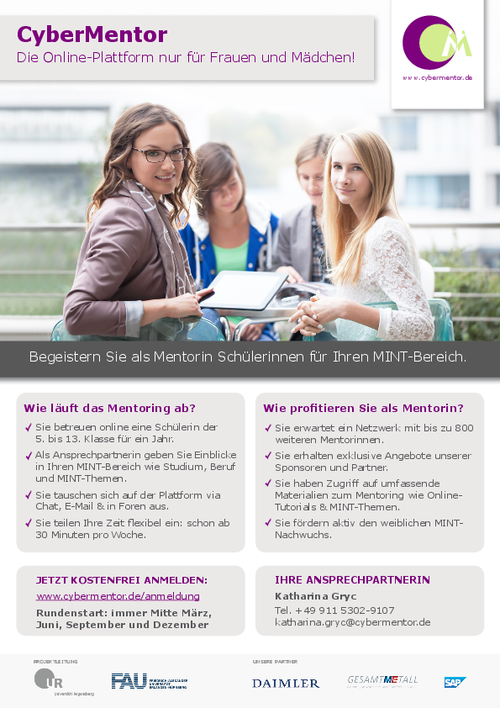 As a mentor, you not only actively promote young female MINT talent, but also gain access to a network of up to 800 other mentors from all over Germany. We also pass on exclusive offers from our sponsors and partners to you. In this way, you have the opportunity to easily make and use new contacts. Additional offer: What is CyberMentor Plus? CyberMentor Plus launches in December 2018 as a subproject of the "Performance is School" initiative. Plus means that mentees receive additional funding from participating schools. MINT faculty members arrange meetings, discuss mentoring with mentee groups, and can provide MINT projects locally (where you, as a mentor, are not actively involved). 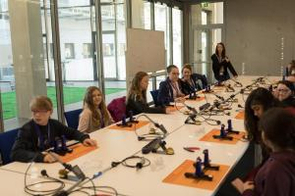 Together with the teacher, it is possible to offer the girls optimal support. If you want to participate in CyberMentor Plus, please indicate this in the application. CyberMentor launches a new round four times a year: March, June, September and December. The next round starts on December 17, 2018. This offer is for people who moved to MPI/Saarland University with a child/children or who are planning to have a child in the near future. Often, childcare is a priority for parents when they are considering moving to a new place, however, it can take some time in understanding the existing system. Therefore, Michelle Froese-Kuhn and Dhara Sheth from Saarland University's family office will share information on Kitas and child minders (Tagesmütter/-väter) in Saarbrücken. How to get a place for your child in a timely manner will be talked about as well. The presentation will be done in German and English, followed by Q & A. A video of the event was created. 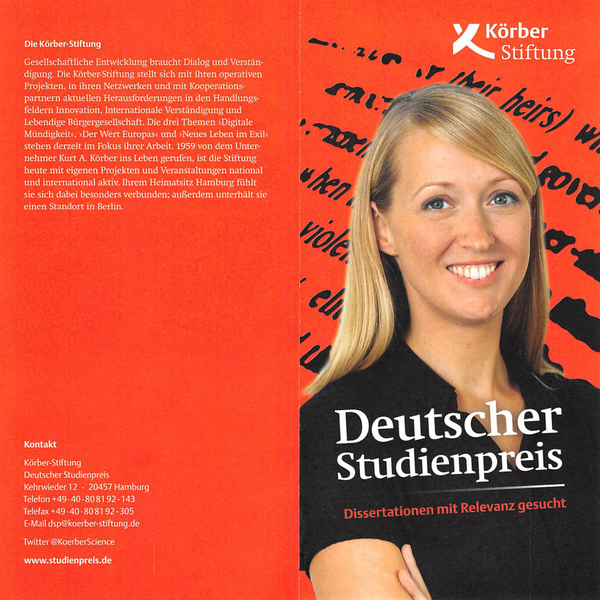 If you are interested, please contact Alexandra Klasen-Schmitt. Please find here a follow-up report (only available in German). Is starting a business really an option? What would be necessary to do so? Starting-up your own business might be a topic you have already been thinking of or maybe not yet at all. With this event we would like to encourage especially women to think about starting their own enterprise. There will be information about consulting and start-up-support here on campus and you will also have the possibility to discuss with people who already brought their business from an idea into life. After that, we offer a practical workshop about developing ideas and Business Model Canvas, a technique which helps you to consider the necessary elements to establish your own business. Wednesday, November 7, 2018, 10 a.m. to 2 p.m. 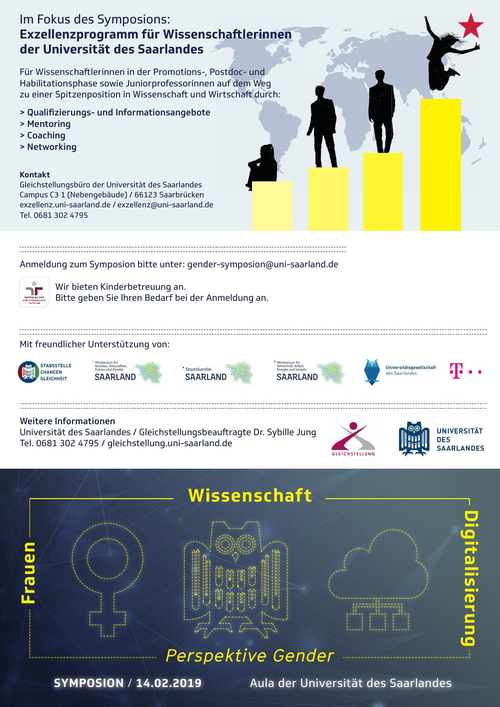 The symposium addresses interested women in IT and related disciplines (Bachelor, Master, PhD, Postdoc). The event will be in English. Please find the detailed program below. You are Phd Candidate/Postdoc and therefore highly qualified for a leading position in your area of expertise. Are you familiar with all attainable career paths? Do you need contacts? Do you think there are too many obstacles in your way? Although companies are opening up to a more diverse pool of applicants they haven’t recognized your full potential yet. 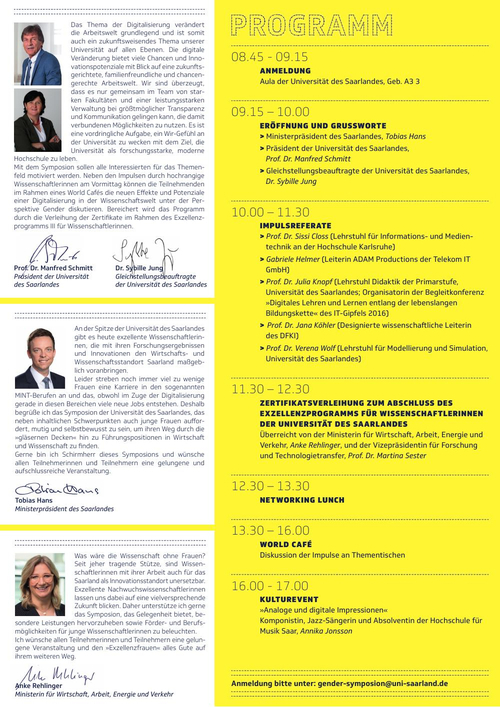 The KURSWECHSEL conference presents alternative career paths, builds bridges and offers networking possibilities. The main conference language will be German, but some formats will be held in English. If you are a bachelor student, doing a masters or a PhD, if you are a Postdoc or a researcher in any computer-science-related field - just come along! 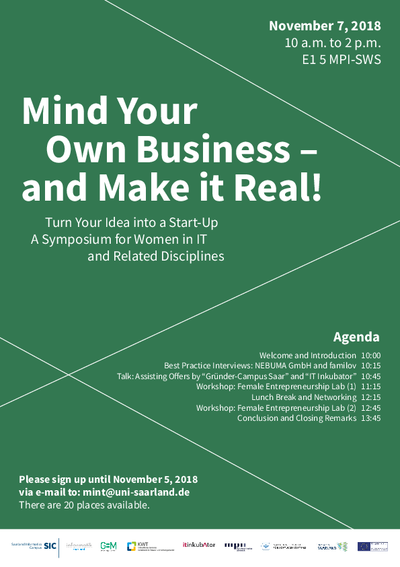 We will have three or four short presentations and interviews and then there will be room for informal talks and exchange with other female computer scientists. 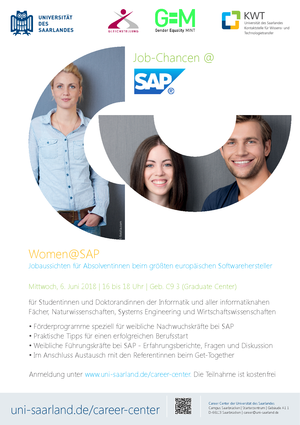 Wednesday 6 June, SAP and UdS are organising a "Women@SAP" event about career choices at SAP. The event is meant to be interactive with questions, discussions and networking. Please note that the event is going to be mainly in German. - How does a computer recognize hand movements? - How does the navigation know how to get from A to B, and what does that have to do with a backpack? - How can a computer keep a pendulum upright? - How does a 3D printer work, and what does that have to do with research?